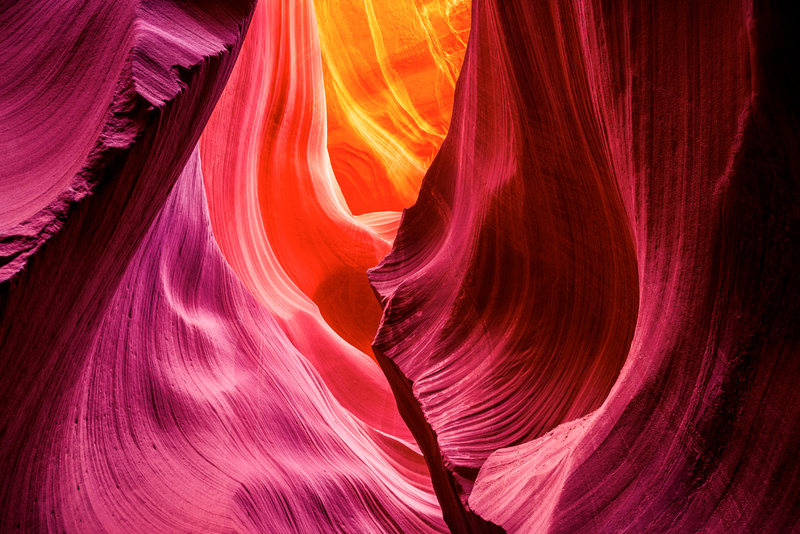 Long exposures, creativity, and patience reign supreme in the Antelope Canyon slot canyons. The subterranean slot canyons are dark and often teem with tourists, making almost every shot an exercise in patience, creativity, and sometimes futility. Shoot too low and you’ll have someone’s head in your shot. Shoot too high, and you’ll have a composition that just doesn’t work. Couple that with guides that constantly move you through the canyons and you’ve got a recipe for missed opportunities. Because the mainstream, conservative approach may not work, it’s incumbent on the photographer to figure out ways to get the shot. Here, I bumped up my ISO, reduced my exposure time (I would have preferred to keep my shutter open twice as long), and figured out how to frame my shot without getting obstructions in my frame.